It’s time for another release! If you love the Rachio 3, but don’t need your garage to be fully lit, we’ve got a release just for you. LIGHT BAR DIMMING IS HERE! 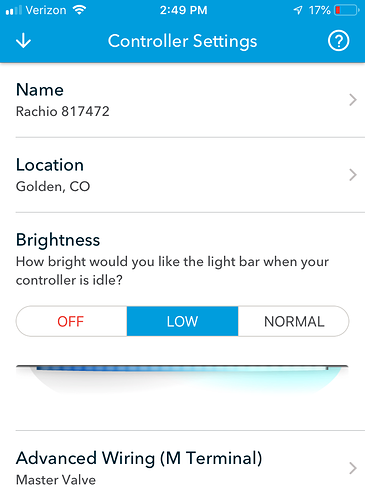 The Rachio mobile app now supports light bar dimming for the Rachio 3 Smart Sprinkler Controller. 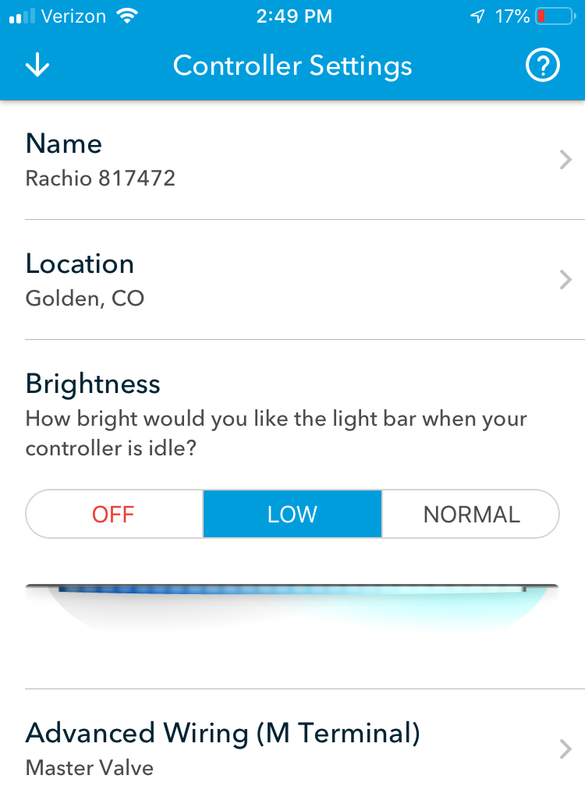 You have the option to turn the light bar to “Off” (while idle), “Low” or “Normal”. To change this setting, visit More > Controller Settings and you’ll see the following controls. Learn more. 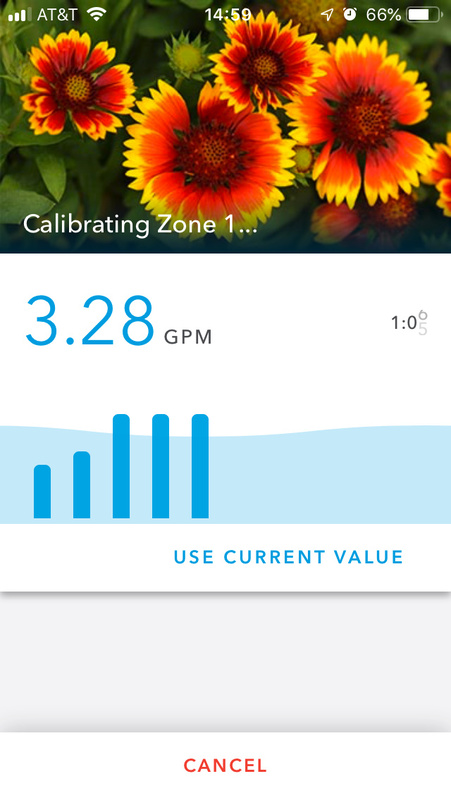 The Wireless Flow Meter also got a new calibration experience focused on real-time flow rates and the ability to select the current flow rate value instead of waiting til the end of a measurement. 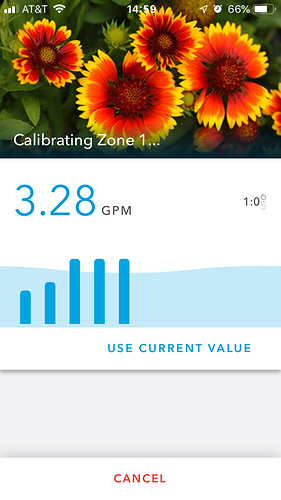 Real-time flow meter readings are great! Hope this feature makes it’s way to scheduled runs, would be great to get access to this data in a similar way that we see the moisture graphs. I’m sure that will make some people happy. Others may be upset from all the extra duct tape that they purchased to cover the light. Any updates planned to the brightness level for “low”? Seems to be a minimal difference in brightness between normal and low. I agree with you on low/ high setting don’t have much of a difference but love the off setting. Maybe they can dim the low option a little bit more. I have to say though, I am truly impressed that you listened to my and others frustrations with this matter of the light. @mattcallis Low is at 25% of full strength and I promise it is less bright . Unfortunately, anything below this starts to affect our ability to show animations and we didn’t want to go comprise that part of the product. @Dean0521I’m very glad we were able to help you out. Our customers are why we do what we do and sometimes it just takes a little while. What about the Version 2? It’s very bright. So much so my neighbors have asked what the blue light in my garage is. Also it lights things up enough that if anyone looks in they can things they just might want to take for themselves. Hey @FarmerBob. You may want to consider installing your unit in one of the outdoor enclosures from Rachio. I did that with mine and it works just fine. If you do this, be sure to remove the cover prior to installing the unit in the box. Thanks for the suggestion. But I shouldn’t have to. Rachio has work to do . . . Also I may not have it for long. Looking into a migration.